Schrauth Sweet Sensations offers 2 different types and 12 different varieties of garlic for your culinary delight. Our garlic is fresh, naturally grown, and hand picked to perfection for you. You will find a summary of each type of garlic and its suggested use, however feel free to explore and give us feedback on your taste tests - we love to hear from our customers! Made with our pure Garlic Powder, Pink Himalayan Salt, and Hawaiian Alaea Salt. Our signature blend is sure to please. Clean, healthy cloves of garlic. No skins, no roots, no fillers, just pure garlic cloves. It is a labor and time intensive process, but the final product is well worth the effort. We recommend using less than a recipe requires, as it is very robust in garlic flavor. Rocambole Hardneck Stores 6-8 Months. Balanced sweet and spicy flavor. Great for roasting. Averages 7-9 tan colored cloves per bulb with a white wrapper. 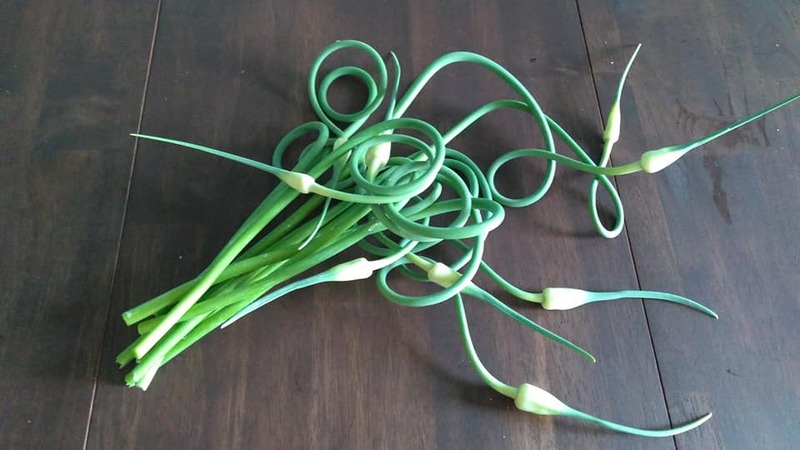 Best for recipes calling for raw garlic. United States. Artichoke Softneck Stores 6-8 Months. Rich flavor with a medium-hot aftertaste. Averages 12 cloves per bulb that have a double row and purple stain. Great for soups and stews. United States. Purple Stripe Hardneck Stores 7-9 Months. Complex sweet, spicy and hot flavor with an earthy aftertaste. Terrific rich and mellow flavor when roasted. Averages 6-9 cloves per bulb with a mottled red wrapper. Good, raw garlic for garlic butter, salsa, and spreads. Muldova. Porcelain Hardneck Stores 8-10 Months. Strong, bold flavor with a high sugar content. Averages 4-6 large cloves per bulb that have a dark red skin. One of the best for roasting. Good in stews, soups, and poultry dishes. East Germany. Long lasting, medium-hot flavor. Preserves its complex flavor when cooked. Averages 7-12 cloves per bulb. Best for baking. Republic of Georiga. Good, sweet, pungent true garlic flavor. Medium-hot when eaten raw. Average 4-6 large cloves per bulb. Becomes sweet when baked or roasted. Highest content of allicin. Germany. Rich, full, long lasting flavor that's not overly hot or spicy. Averages 8-9 purple streaked cloves per bulb. Versatile for all around use in salsa, garlic bread, and guacamole. Italy. Porcelain Hardneck Stores 6-9 Months. Rich, smooth, and slightly smokey flavor. Mellow when eaten raw. Averages 4-6 large, easy peel cloves per bulb. Great for pestos, salsas, and stirfry. High level of allicin when crushed. Republic of Georgia. Porcelain Hardneck Stores 8-9 Months. Hot and rich flavor. Starts off mild but becomes a strong and robust flavor that lingers. Thick, white outside wrapper. Averages 4-7 purple cloves per bulb. Belarus. Purple Stripe Hardneck Stores 6-8 Months. Eaten raw it tingles the tongue, but mellows quick. Mellow flavor when cooked. Averages 5-6 large cloves per bulb. Great for shrimp and seafood dishes. Denmark. Mild taste but offers great depth in flavor and pleasantly rich and sweet. Buttery, smooth flavor when roasted. Averages 10-14 cloves per bulb. Great for salsa, guacamole, and stirfry. Australia. True, robust garlic flavor, pleasantly hot and spicy. Averages 9-11 tan cloves with a light purple stripe. Roasts well. Use raw for pesto and salads. Spain. Why Choose to add Garlic to your diet? Garlic has amazingly high levels of vitamins and minerals and supplies the required daily allowance of 95% of B-6, 52% of Vitamin C, 33% of Copper, 21% of Iron, 18% of Calcium, 26% of Selenium, and 73% of Manganese in just 100g. Garlic contains organic compounds that upon disruption of the bulb (while crushing, cutting, etc. ), these compounds convert into Allicin through an enzyme reaction. Allicin is known to reduce cholesterol, reduce blood pressure, reduce risk of coronary artery disease, and reduce the risk of stroke. Studies show consumption is associated with decreased incidence of stomach cancer. Garlic herb has been in use for a long time in many traditional Indian and Chinese medicines as a remedy for cold, cough, bronchitis, etc. Garlic oil has been used as a local applicant for fungal dermatitis infection (ringworm) of the skin. Is advocated as health benefiting food for its anti-microbial, anti-cancer, anti-diabetic, and immune boosting and cholesterol-lowering properties. Rocambole Subspecies - Hardneck variety with more complex flavors that softneck varieties. Each head contains 6-11 large, easy peeling cloves around the center stem. Porcelain Subspecies - Hardneck variety with 4-6 symmetrical large cloves per bulb. Store longer that Rocambole due to their tight clove wrappers. Purple Stripe Subspecies - Hardneck variety named for their bright purple streaks and blotches on wrapper and clove skins. Each head contains 8-12 cloves, slightly smaller than the Rocambole. Artichoke Subspecies - Softneck variety with multiple over-lapping layers of mostly evenly sized cloves with 12-20 cloves per bulb. Generally milder in flavor.